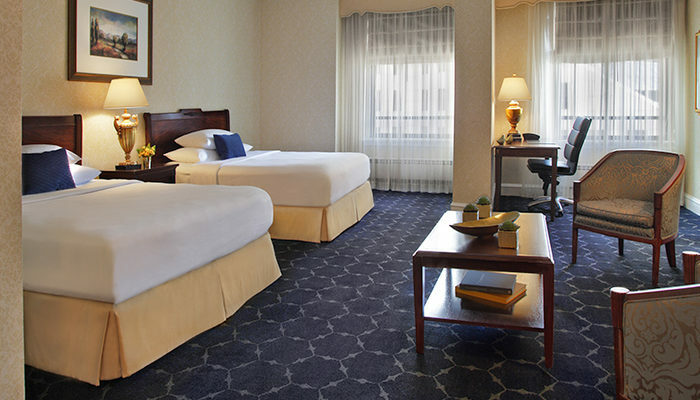 Guest rooms at The Drake, a Hilton Hotel, are distinguished by their comfort, elegance, and amenities. Relax in a comfortable bed, or surf the Internet via high-speed wireless. All of our Chicago hotel accommodations feature high style furniture, HD TVs, and Italian marble bathrooms, enhancing the luxurious ambience. Our distinctively furnished rooms are diligently designed to meet your every need. Savor the Windy City from any one of our Deluxe Rooms or reserve a Deluxe Lake View Room to overlook the majesty of Lake Michigan. All Deluxe Rooms feature either a king bed or two over-sized twin beds. Both rooms come standard with office space, HDTV, and in-room seating.